It’s that time of year again when everyone looks out for what they can buy cheaper than normal. I’m not sure if it’s cheaper than the January sales but sometimes we seem to have sales all year round. We all like a bargain though, including me. For the first time I have decided to come onboard with this but there is a good reason why. In one weeks time I will be Full time self employed. So if you check out my Facebook page or my website this Friday you will see what special offers I will have available. For many years I have been a Part Time Therapist and Reiki Teacher but during various shift changes from my day job I have often had new clients that can only see me at certain times. This has been an annoyance from both sides so I am looking forward to being able to see people at a time that suits each of us now. Reiki has been part of my life for so many years and I am looking forward to being able to spread it amongst more people going forward, but that’s not all. I also have my new Thermotherapy equipment which has infra red rays to help relieve aches and pains. I have been getting great feedback on it. 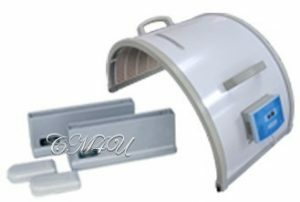 If you know me, you will know all about The Sun Ancon Chi machine too. I am aiming to take a few of these into workplaces during 2019 to help the staff have a little time out. If anyone knows of any companies in Edinburgh who have a room that has space for 3 or 4 people to lie down in for 15 minutes and most importantly, believe in the welfare of their staff, please let me know. People sitting on chairs all day, having customers giving them an earful or just having stress in their lives will all benefit from a few minutes on the Chi machines. 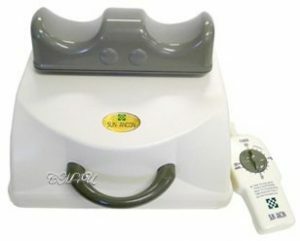 You can also buy a Sun Ancon Chi machine from me to keep at home for all the family. Last but not least, I am recording both Meditation videos, which can be personal to you and also childrens story videos which can be for many subjects. I have so far done videos on Bullying, Dragons and Unicorns. These too can be personalised. Imagine them going to sleep or having a few minutes throughout the day when your child is quiet lol. I’m super excited to be going into this new part of my life and I hope to hear from some of you in the not too distant future. Remember to check out my Facebook page and Website on Friday.